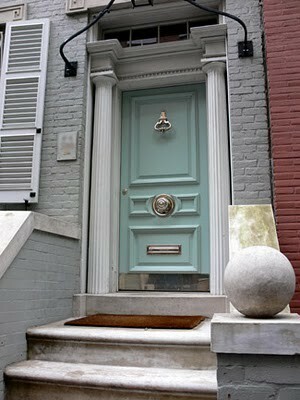 IMHO, I would be concerned the highlighter green or aqua blue would look funny next to your pretty earthtone stonework. 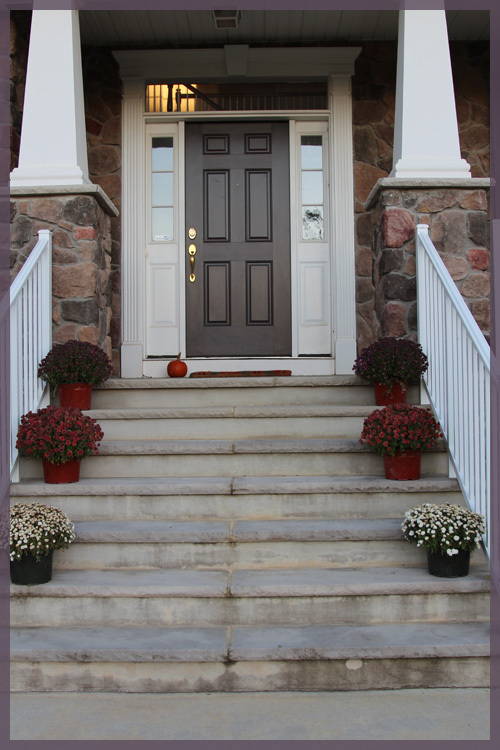 It seems like it would be better to choose a nice red/burgundy that blends well with your stonework; that would still make your front door stand out. 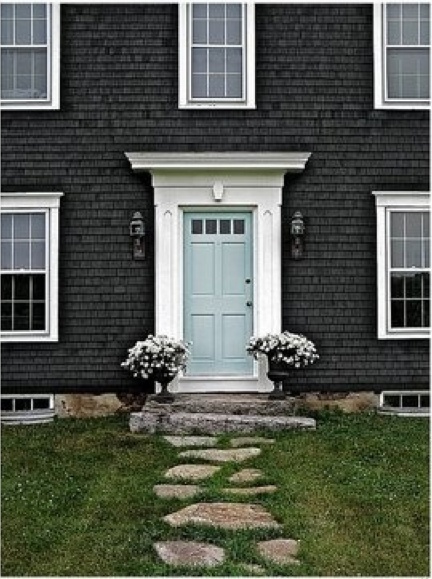 I always thought painting your front door a bright colour was inviting. Robin’s egg blue is a great choice, soft, but noticeable. 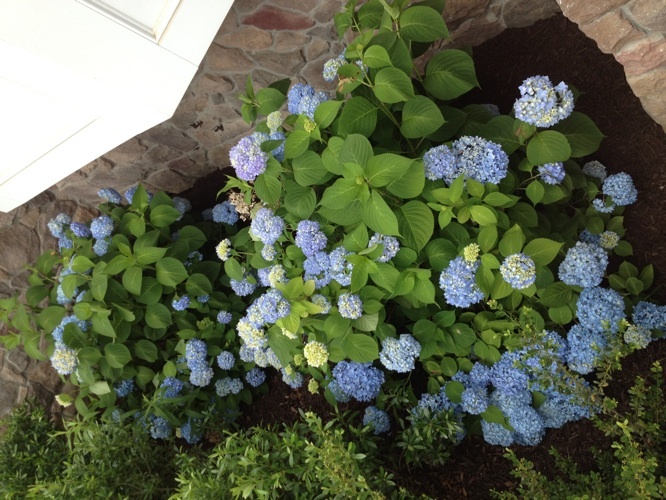 BTW, your hydrangeas are lovely! I say go for it!! I think it’ll look great! 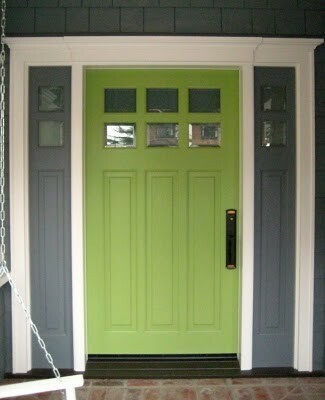 Besides, we painted our door with a single Valspar sample can a few years ago, so it’s not like it’d be expensive to change if you hate it. I agree with Sharon, the first thing I thought of was red when I saw your stone colors. But it is just paint, so you could always change it if it doesn’t look good. I would go with a darker blue green because the lighter blue might get washed out, but you never know until you try it. Maybe get a sample pot and paint it in a board and lay it against the door for a couple of days and see what you think. 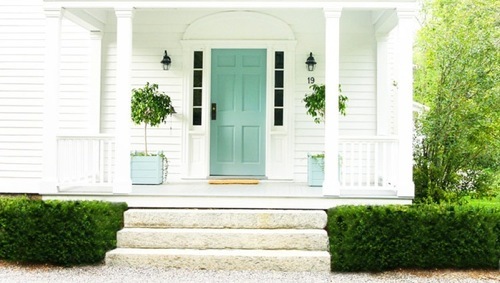 Love the door inspiration, especially with the hydrangeas! 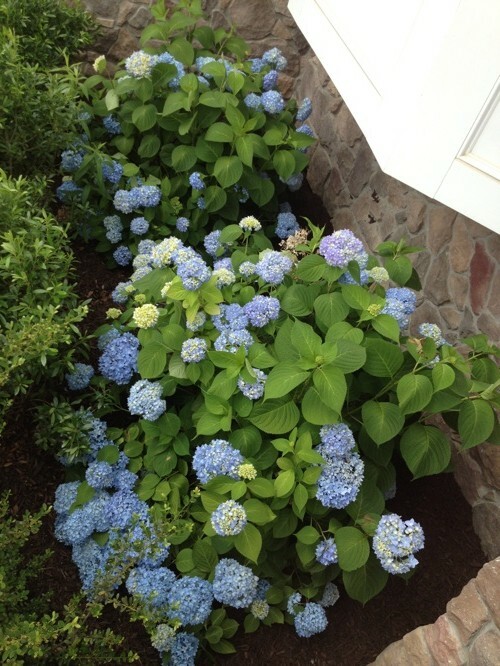 Speaking of your hydrangeas, they got that big after only two years?!?! How big were they to begin with and how do you take care of them? I have one bush now that is pretty tiny, but I’m hoping to plant a few more and get them all big like that! 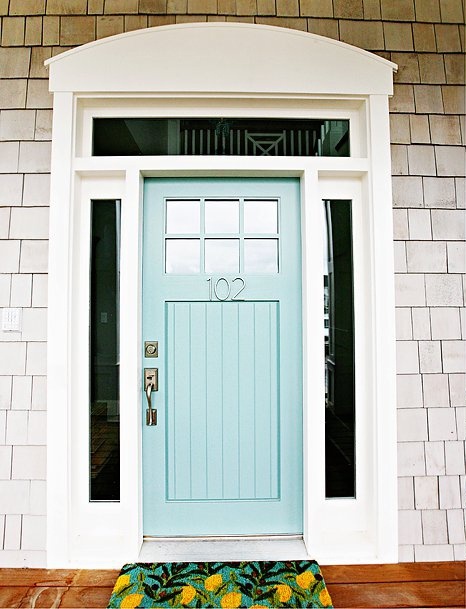 Ive been doing some door googling this week because ours were delivered and installed today!! I can’t decide if we need a POP or something to blend. 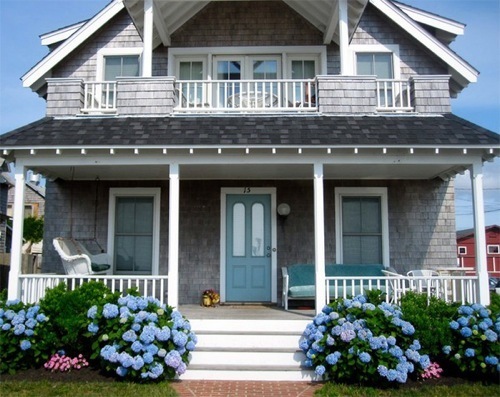 But I think the blue would fit well with your home. And those flowers already after only 2 tears? WOW! What was the name of the robins egg blue color? And who makes it?